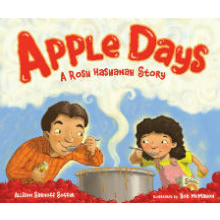 Rosh Hashanah, the Jewish new year, is a great time to pick apples and make applesauce. Katy can’t wait. But this year the arrival of a new baby gets in the way. How will Katy celebrate the new year now?